Nails: Craving more than pink, purple or your standard blush? Then you should call Emi Aoki Nails. My obsession with nail art started last year on my birthday with Sakura Nails, which is still one of my go-tos. But this year I’m going to get a bit wilder! 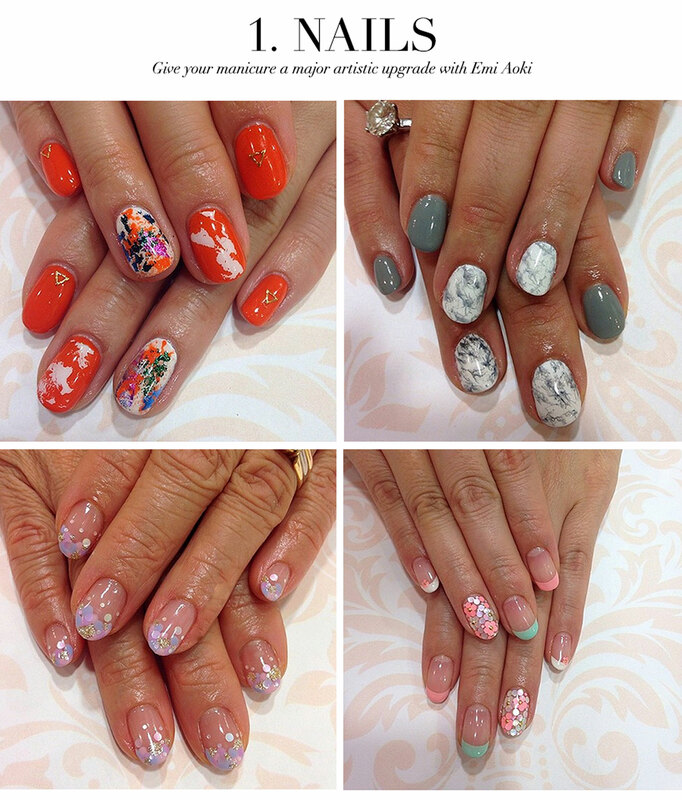 Emi, who hails from Japan, is my newest find, and has over 10 years of experience in bringing big design to little nails. She is truly an artist and was immediately inspired by my designs. I can’t wait to see what she dreams up and how she brings my artwork to life on my fingertips this week. Emi is definitely worthy of a pamper-yourself inclusion! See more at emiaoki.com. Jewelry: What girl doesn’t love a little bling on her birthday? Well, Kristin Hayes’s Jewelry always hits the spot. Her line is filled with luxe, wearable and personalized pieces (I honestly love every single thing she creates). Kristin is a gem (no pun intended! ), and her jewelry is sure to add that special sparkle to your day. Personalization has been trending for some time now, but it’s really exploding in 2015. So I put in a special request for a custom piece and I am on the edge of my seat waiting to see what she creates! With new collections coming soon, be sure to visit her at kristinhayesjewelry.com. 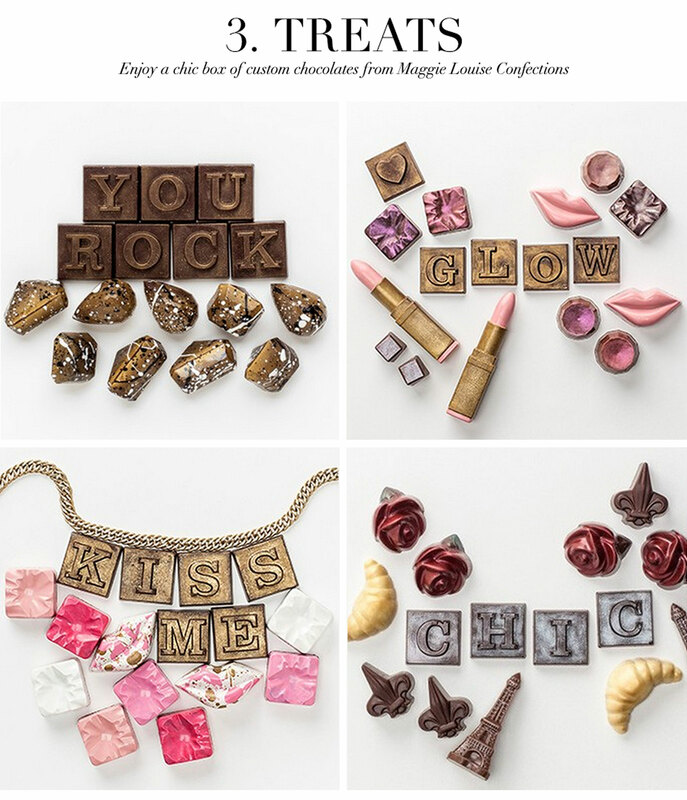 Treats: Many of you may know I don’t exactly have the biggest sweet tooth in the world, but I am obsessed with Maggie Louise Confections. Why? Because they’re little works of art. Words cannot express how beautiful (and yummy!) her chocolates are. Maggie is preparing a box of her hand-crafted sweets just for me to indulge in on my birthday (are you picking up on our personalization theme here?). I have no doubt they will be one of the highlights of this birthday girl’s day! These glam treats are perfect for events, weddings or to sweeten up your loved one’s day. Order yours at maggielouiseconfections.com. Facial: A must-have on your annual pamper-yourself day is a luxurious facial. Not only will you be glowing for your night out on the town, you'll also get a chance to relax and refresh (which are two of my favorite things in this zany, deadline-driven world we live in). 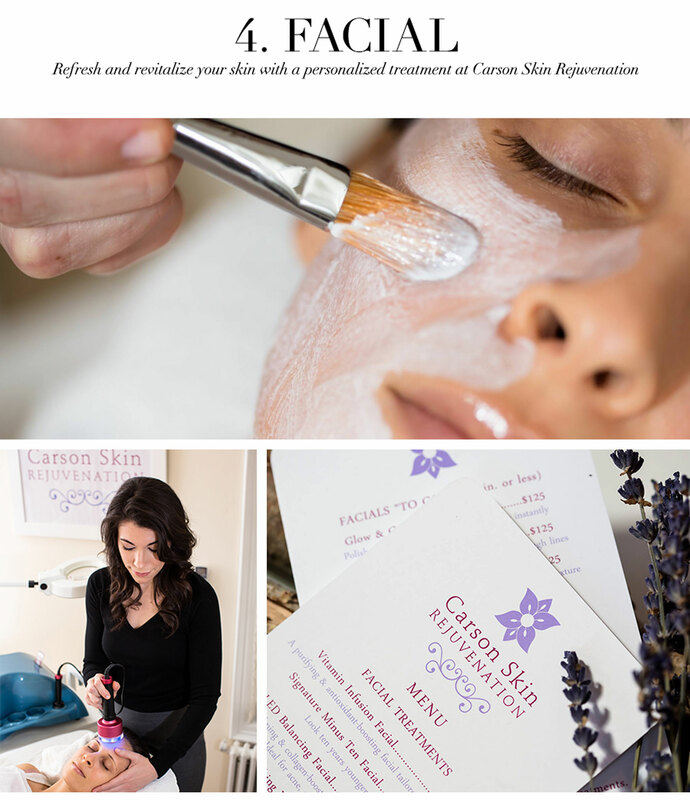 You may remember I visited Carson Skin Rejuvenation last year. Well, I am going back again to these miracle-workers and turning myself (and my tired winter skin!) over to them for more of their personalized, professional and polished service. See more at carsonskin.com. Hair: All of you ladies know how much better you feel after a fresh blowout, right? I mean, it’s all about the finishing touches. 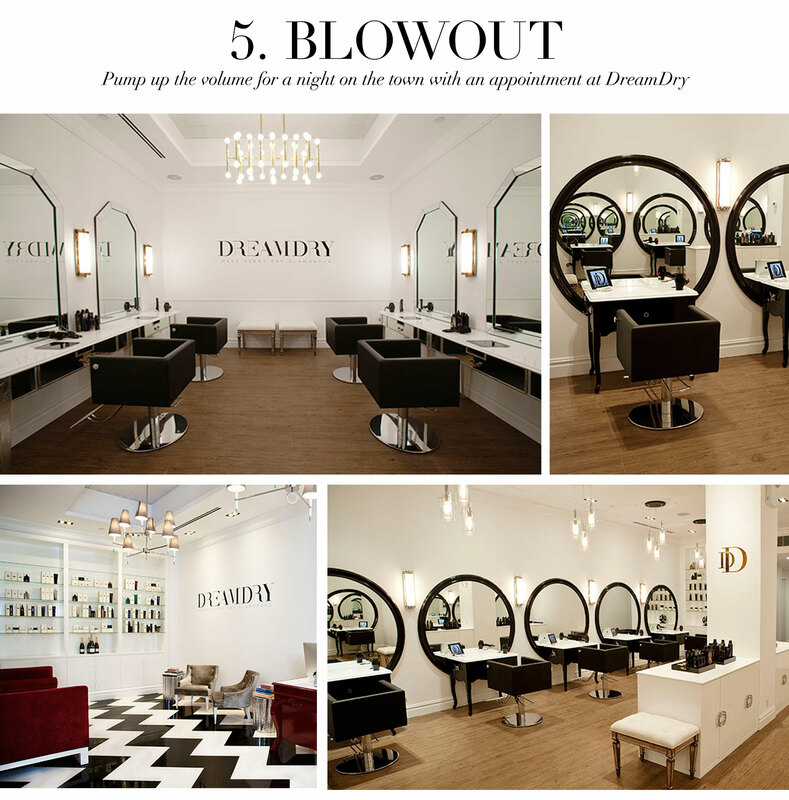 So if you think like I do, then DreamDry is your place — headed by Rachel Zoe, it truly is the destination for a top-notch experience. They have a vast menu of services to choose from, including red carpet and runway-inspired styles. I hope you all love my dreamy look later this week! Make your appointment now at dreamdry.com. Fine Dining: I’m most excited about this final stop! 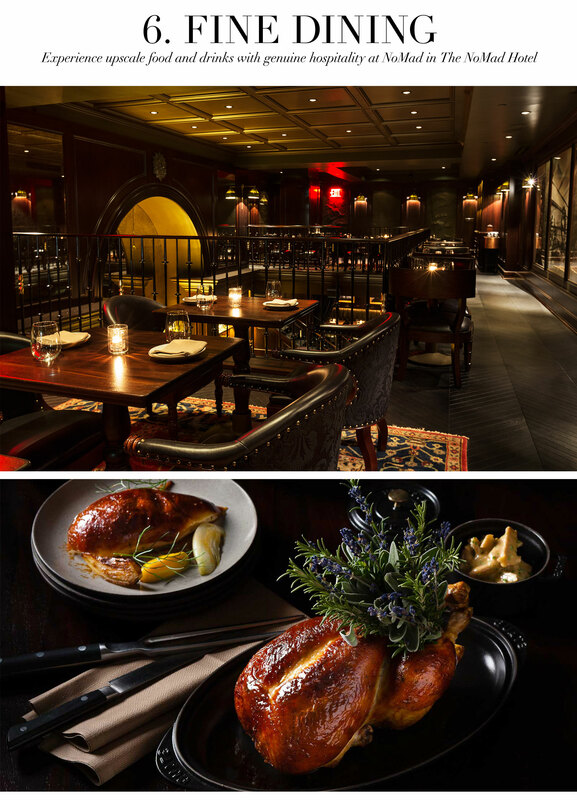 To cap off my special day, my hubby is taking me to NoMad (in the NoMad Hotel). After taking care of everyone else all year long, I’m going to soak up all of the day’s special treats while I spend quality time with my best friend over a beautiful dinner. My mouth is already watering just thinking about their famous whole-roasted chicken for two and celebrating with one of their signature cocktails! With a central location on Broadway at 28th Street, NoMad is your spot for an after-work cocktail, a private party or a special dinner. Visit them at thenomadhotel.com. V236: Get the Look - Happy Birthday, Ceci!